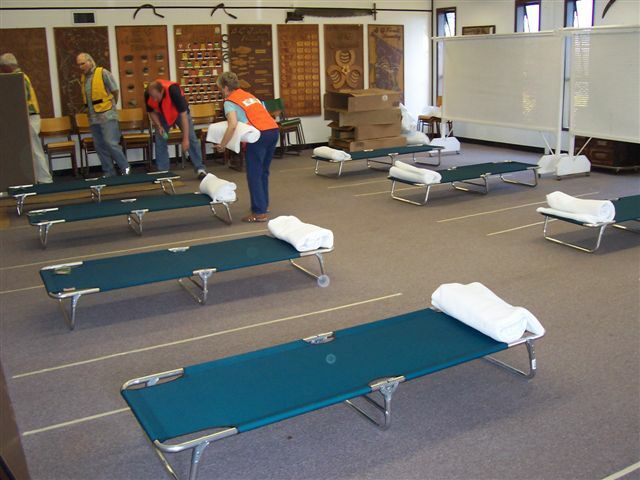 A GL facility provides emergency shelter style accommodations, usually in community centres, school gymnasiums, arenas, etc. 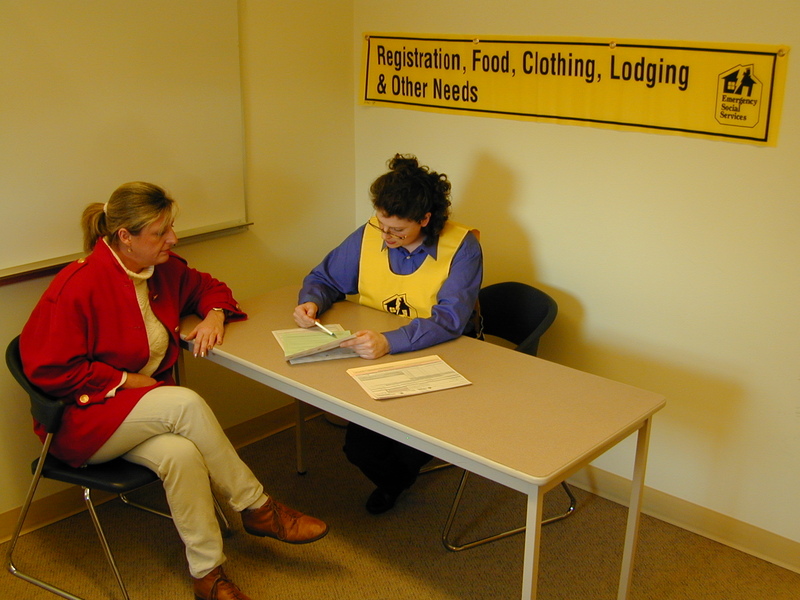 A RC is a facility where evacuees are received, registered, and referred elsewhere depending on their immediate personal needs. Ideally, RC personnel refer evacuees to the GL facility. In BC, evacuees give the white copy of the Referral Form to the responder at the Check In/Check Out desk at the GL facility. This copy authorizes the evacuee to stay at the GL facility. The ESS management team carefully assesses all of these factors before making a decision on what is possible and feasible for an effective community response.